Home (The 2012 Havana Biennial Art Exhibition ) Founded in 1984 and initially conceived as a competition, the Havana Art Biennial was reformulated to focus on key issues concerning contemporary art, embracing artists from Latin America, the Caribbean, Africa, Asia and the Middle East, with the gradual incorporation of European, US and Japanese artists. Every two years, Havana swarms with activity with the attendance not only of artists, but critics, curators, dealers, collectors, and art lovers in general. A wide-ranging presentation takes over all the city’s principal galleries and spills out into numerous public arenas. Havana, which during the Biennial is transformed into the largest gallery in the world, becomes a place for debate and reflection on essential problems of our contemporary world. 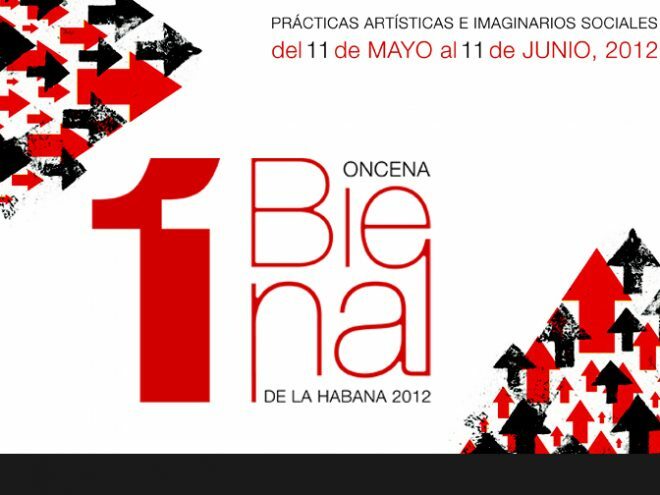 The Havana Biennial has not always been able to take place on during the two-year rotation due to funding challenges. The 8th Biennial of 2002 did was delayed an entire year, resuming in November 2003. This Biennial was however noteworthy as it showcased art functioning within the social landscape, outside of traditional institutions. By bringing art out the museum and into the streets, artists that would normally be unable to participate within large institutions, or who prefer to work outside of such institutions are able to better engage diverse audiences. Noteworthy artists to have “activated” the urban space include Mitchell Sipus and Fabiana De Barros.